Some of the best health foods include avocado, which can lower cholesterol levels . Researchers estimate that by replacing only 5% of saturated fats with monounsaturated fats, the risk of heart attack can be reduced by more than a third. 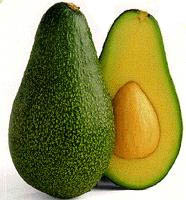 As a bonus: avocado is rich in beta-sitosterol, plant sterol which blocks the absorption of cholesterol present in food. It also contains glutathione, a powerful antioxidant . In addition to providing the energy you need, the foods you consume on a daily basis are beneficial to your health as they help prevent cancer and protect you from heart disease . Discover even more healthy foods on the following pages. It is the anthocyanins that give blueberry its color and its powerful antioxidant power. They protect against heart disease, cancer, blindness and age-related memory loss. Like cranberry-rich, blueberry also contains epicatechins, antioxidants that prevent bacteria from adhering to the walls of the bladder and thus preventing urinary tract infections. Finally, its richness in fiber helps to calm hunger, helps stabilize blood sugar makes it an antidote against constipation . Yogurt contains probiotics, useful microorganisms that limit the proliferation of harmful bacteria causing various problems, including gastrointestinal disorders. Regular consumption of yogurt could help relieve inflammatory bowel disease, urinary tract infections and vaginal fungal infections among other conditions. Yogurt also makes it possible to redo the intestinal flora useful as a result of antibiotic therapy, these drugs eliminating without distinction all the bacteria. Finally, probiotics produce natural antibiotics as well as compounds that enhance immune activity. Dark chocolate is very rich in flavonoids, antioxidants also present in red wine and many fruits and vegetables. The results of studies indicate that these antioxidants regulate blood pressure, prevent the formation of blood clots, calm inflammation and delay the oxidation of LDL cholesterol; The latter is less likely to be deposited on the walls of the arteries. Finally, dark chocolate attenuates insulin resistance, a precursor of diabetes . 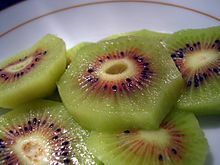 Kiwifruit are rich in vitamin C, which stimulates the immune system, and vitamin E, which increases the number of T lymphocytes in the body, say nutritionist Ian Marber, author of Supereating: A revolutionary way to get more from the Foods you eat . Enjoy this sweet green fruit in a whipped beverage (it works well with strawberries and spinach). Cinnamon is one of the most powerful medicinal spices. It has earned an enviable reputation for its ability to control blood sugar levels in diabetics. The apple pie spice can help prevent clots and it has antibacterial and anti-inflammatory properties. It also inhibits the growth of E. Coli and other types of bacteria. It does not take much. As little as 1 to 2 ml (¼ to ½ tsp) per day is enough to help you reduce triglycerides and cholesterol. Little trick: Sprinkle some cinnamon on your daily coffee to enjoy the benefits of this super-spice. This small ovoid fruit contains edible seeds and a juicy, sweet and acidulous pulp. Its shell or bark may be dark purple or pale green. Pulp and edible seeds are greenish orange, juicy, sweet and sour at the same time. "The pulp is an excellent source of fiber , antioxidants and plant sterols that reduce your blood cholesterol levels," says Natalie Brown, registered dietitian in White Rock, BC. The pulp is also rich in vitamins C And E. To enjoy, remove the pulp with a spoon and throw it in a fruit salad or pass it to the centrifuge to enhance your morning drink. Garlic is antibacterial, antifungal and antiviral. In the laboratory, it has even proved effective against strains of antibiotic-resistant bacteria. It derives its properties from its sulfur compounds, which act as antioxidants and are useful to the heart. Although it lowers cholesterol levels only modestly, it clears the blood and reduces the risk of blood clots, heart attack and stroke. Those who take six or more pods a week see their risk of colon , stomach or prostate cancer decreasing by half compared to those who do not take more than one. In addition to removing carcinogens before they damage DNA, the sulfur compounds of garlic cause self-destruction of cancer cells. Salmon fat is excellent for arteries. Two servings per week are enough to reduce the risk of cardiovascular disease by 17% and cardiovascular disease by 27%. Furthermore, in a Swedish study of 6,000 men followed for 30 years, it was found that in those who consumed moderate amounts of fatty fish the risk of prostate cancer decreased by one-third. Other researchers recently observed that subjects with the highest levels of omega-3 blood complained about half as much as mild or moderate depression. In addition to carotenoids, which protect against macular degeneration, spinach is rich in vitamin K, a nutrient that preserves bone density and prevents fractures. It is also a good source of potassium, magnesium and folate, all of which help to regulate blood pressure and, therefore, reduce the risk of stroke. It also appears that folate drastically reduces the risk of lung cancer among ex-smokers . 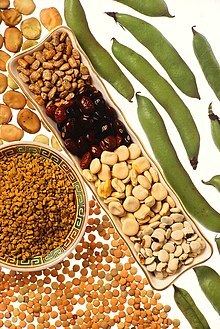 Legumes are good for the heart . They are rich in soluble fiber, which absorbs cholesterol, allowing the body to eliminate it before it adheres to the walls of the arteries. They can lower total cholesterol by 10 to 15%. Soluble fiber and the proteins contained in it regulate blood sugar levels. As for magnesium, it relaxes the arteries; The blood circulates better and the blood pressure regains normal values. Finally, according to the results of a recent study, they rank among the best antioxidants. Good news for chocolate makers: Chocolate milk is a great way to get your daily dose of chocolate, calcium and vitamin D. "It has the same recalculating power as natural milk," says Zannat Reza, Registered Dietitian of Toronto. While chocolate milk is sweet, its sugar content is about the same as that of apple juice. Chocolate milk is a much healthier choice. "There are 16 nutrients in chocolate milk and maybe two in apple juice," says Reza. For a nutritious treat, choose a brand of 1% chocolate milk. 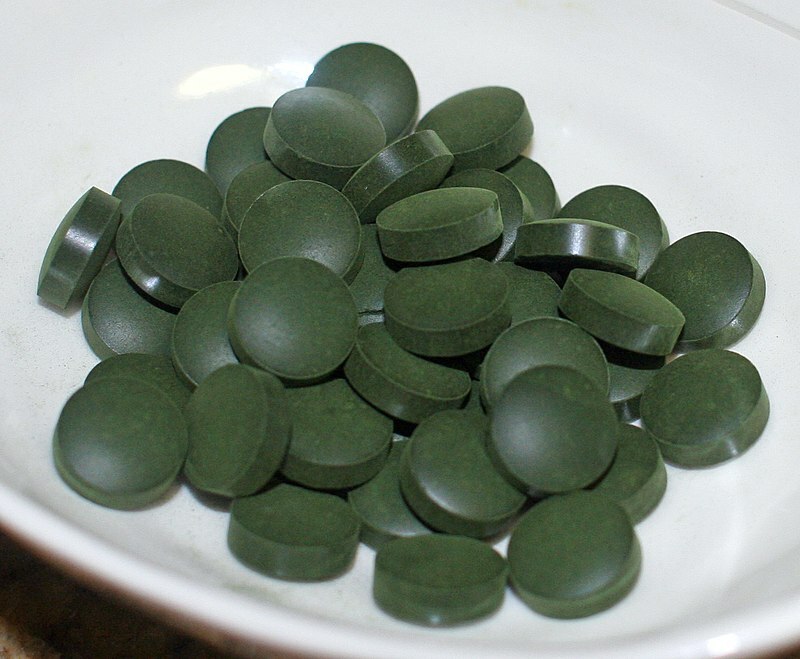 Spirulina, a blue-green algae available in natural food stores, stimulates the immune system. In a May 2008 study, German researchers found that spirulina preparations containing zinc and powdered acerola (tropical fruit rich in vitamin C) had excellent anti-inflammatory and antioxidant potential. Further studies are needed to determine whether the long-term use of spirulina preparations strengthens the immune system and reduces the risk of influenza and colds. Consult a physician or a qualified practitioner before taking any food supplements . Little trick: Add powdered spirulina to your morning smoothie . The clove is native to eastern Indonesia and is probably the first breath freshener. Under the Chinese Han dynasty, courtiers chewed cloves to perfume their breath before turning to the emperor. Among more than a thousand foods studied at the University of Oslo, it was the clove that contained the most antioxidants per gram. In fact, as little as 1 gram of nail, about 2 ml (½ tsp), contains about the same amount of antioxidants as 125 ml (½ cup) berries. Clove always has its place in your medicinal spice pharmacy. It calms bloating and flatulence. Fruits stewed with a pinch of clove are not only delicious, but also promote good digestion. It is beta-glucan, a soluble fiber, which gives oats its beneficial effect on cholesterol and blood pressure. 1 cup (250 mL) cooked oatmeal per day, 375 mL (1½ cup) cooked oatmeal or three packets of instant oatmeal provide enough beta-glucan to reduce blood cholesterol by about five percent and the risk of Heart attack by about 10 percent. Broccoli is considered the anti-cancer drug par excellence by its sulfur compounds , including sulforaphane . Sulfur compounds send genes the signal to increase the production of enzymes that detoxify carcinogens. Consume this vegetable regularly and you could see your risk of breast, lung, stomach, colon, and other can be halved. In addition, sulforaphane destroys the bacteria that causes stomach ulcers. Excellent source of calcium and potassium, broccoli is good for bones and for blood pressure. Finally, it is rich in vitamin C and beta-carotene, and therefore protects against cataract and memory disorders caused by free radicals. One tablespoon of ground flaxseed provides 2.3 grams of fiber, including soluble fiber, which helps lower cholesterol levels . But they are appreciated especially for their lignans, compounds behaving in the body like estrogen: by blocking the cellular receptors of this hormone, they reduce the risk of certain hormone-dependent cancers, including breast cancer . The seed is also a remarkable source of alpha linolenic acid (ALA), the essential fatty acid that the body converts to omega-3 . As AAL clears blood and makes it less sticky, it decreases the risk of heart attack and stroke. Equipped with anti-inflammatory properties, flax seed can also relieve various ailments, including acne and asthma. Sprinkle a tablespoon of ground flaxseed on your cereal or yogurt and you will easily consume 2.3 grams of fiber, often more than the fiber content of the cereals themselves. But it is the lignans in linseed which are the most appreciated. They act as estrogen in the body, interfering with estrogen receptors on the cells and helping to reduce the rates of some hormone-related cancers, including breast cancer. Their anti-inflammatory power could also help control conditions like acne and asthma. Have you ever wondered what gives turmeric its bright yellow color? It is curcumin, a yellow pigment with anti-inflammatory and antioxidant properties. The medicinal effects of curcumin have been celebrated for centuries. A pinch of turmeric in salads, stir-fries and chicken dishes will add flavor to your meals while helping your joints. Red cabbage owes its brilliant color to powerful antioxidants called anthocyanins , which help prevent hardening of the arteries and possibly even diabetes and neurological diseases. According to the US Agricultural Research Service , anthocyanins could also protect against cancer and improve brain function . Recent studies have found that people who drank at least two cups (about 500 ml) of green tea per day were 16% less likely to die from cardiovascular disease than those who drank less. This effect was particularly pronounced among women: the mortality rate had declined by 12% for men, but by 23% for women; At home, the protective effect is thus almost twice as high. It appears to be mainly due to a significant decrease in the mortality rate associated with coronary heart disease (25%) and particularly with stroke (60%).